In celebration of its 20th anniversary, a thoroughly revised and expanded edition of the leading book on fertility and women's reproductive health. 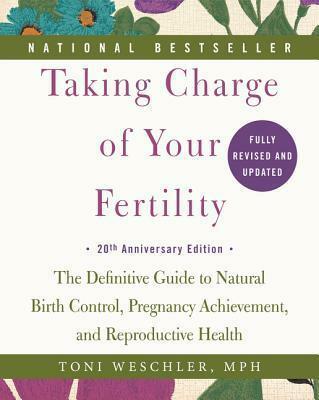 Clear and comprehensive, yet warm and approachable, Taking Charge of Your Fertility is one of the most universally lauded health books on the market today. It is an essential reference for every woman of reproductive age. Toni Weschler, MPH, has a master's degree in public health and is a nationally respected women's health educator and speaker. She is also the author of Cycle Savvy, a book for teenage girls about their bodies. A frequent guest on television and radio shows, she lives in Seattle, Washington.